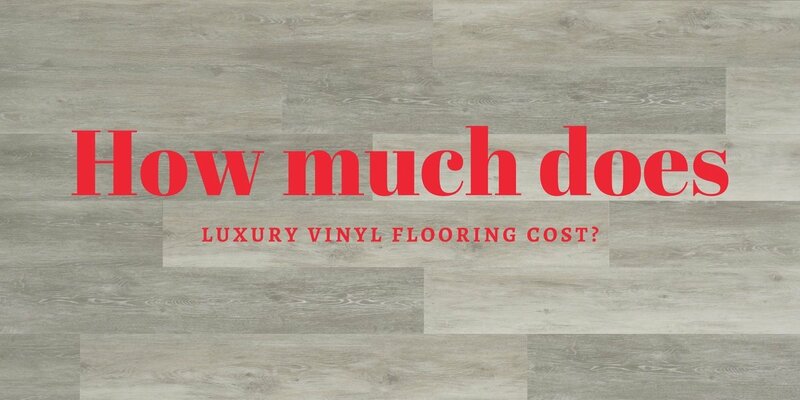 How much does luxury vinyl flooring cost? Luxury vinyl flooring is a beautiful, waterproof option that has recently become more and more popular. It is made to imitate stone or hardwood, and it is cheaper than the flooring it is made to mimic. So what is the cost? Let’s take a look. Luxury vinyl flooring is a huge upgrade compared to sheet vinyl, and the price reflects it. While the cost of regular vinyl flooring can range from $0.50 – $2 per square foot, luxury vinyl will typically run between $2 and $5+ per square foot. The cost of luxury vinyl is comparable for both plank and tile. The difference is in the quality. Luxury vinyl very closely replicates stone or hardwood in a way that is very hard to match with sheet flooring. Not only because it comes in plank or tile (replicating the seams/grooves between the planks/tiles), but also because it replicates the texture of the flooring. Luxury vinyl flooring is very easy to install. In fact, it is the easiest flooring for a DIYer to install themselves. This is a great way to reduce the overall cost. If you’re looking at getting it professionally installed, you can expect to pay an additional $1.50 per square foot, as long as there are no issues with the subfloor. Knowing the types of flooring that are in your price range is a great first step to narrowing down what kind of flooring will work great for your home, lifestyle, and budget. Luxury vinyl is a beautiful flooring option that works great in areas exposed to water, mud, or heavy use. It is comparable in price to carpet and laminate, with the added benefit of being highly durable.